Bentong policeman Rashpal Singh (of previous pic) suggested visiting a scenic but remote spot since I was in a 4-wd vehicle. It is accessible via a long and winding dirt road. Surrounded by rolling hills and lush green meadows, this hidden reservoir and dam is indeed picturesque. There are not many places in this country where one can get so close to a dam. According to the Department of Irrigation & Drainage, the reservoir is 1.05 square kilometres and the catchment area is about 125 square kilometres. Olympus OM-D, ISO 400, f11, 1/2000 sec. 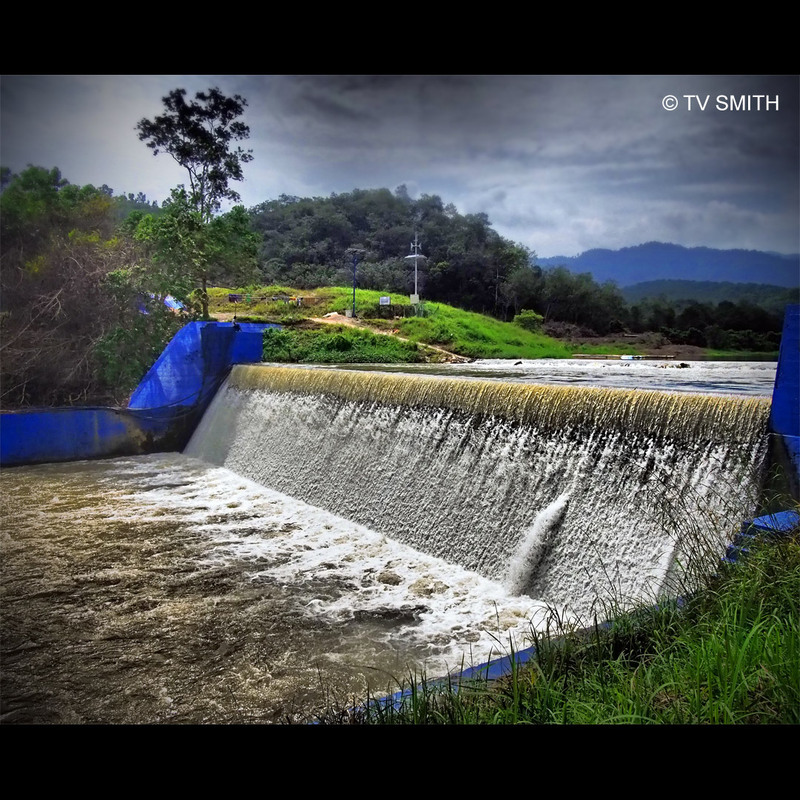 This entry was posted in Geography, Instagram, News & Commentary, Olympus OM-D, Photography and tagged ampangan, bentong, chamang, dam, em-5, lake, landscape, nature, olympus, om-d, pahang, river, weir by TV Smith. Bookmark the permalink.